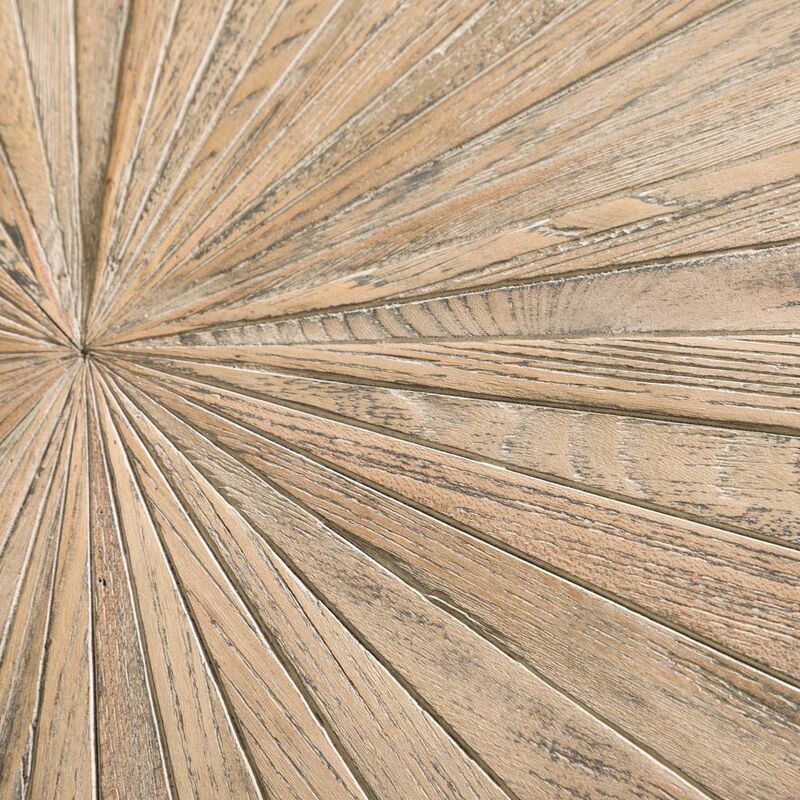 Showcasing an exquisite starburst patterned top crafted of elm veneers and treated to a weathered, wire brushed finish, the Coverty round dining room table invites you to gather round in style. 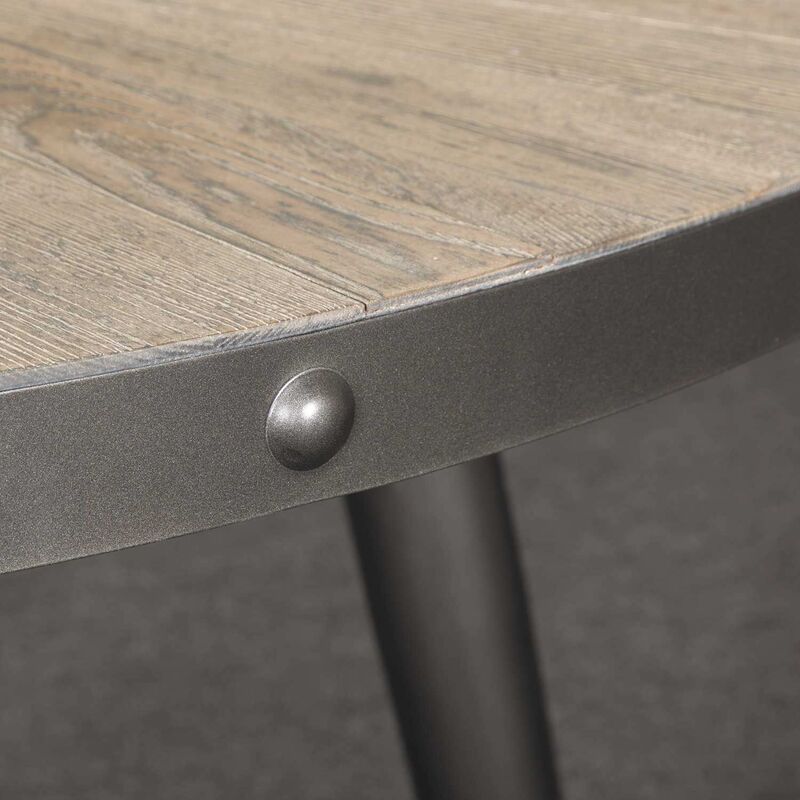 Wraparound metal banding with nailhead complements this table’s canted legs so well, adding a punch of cool character to the mid-century inspired design. 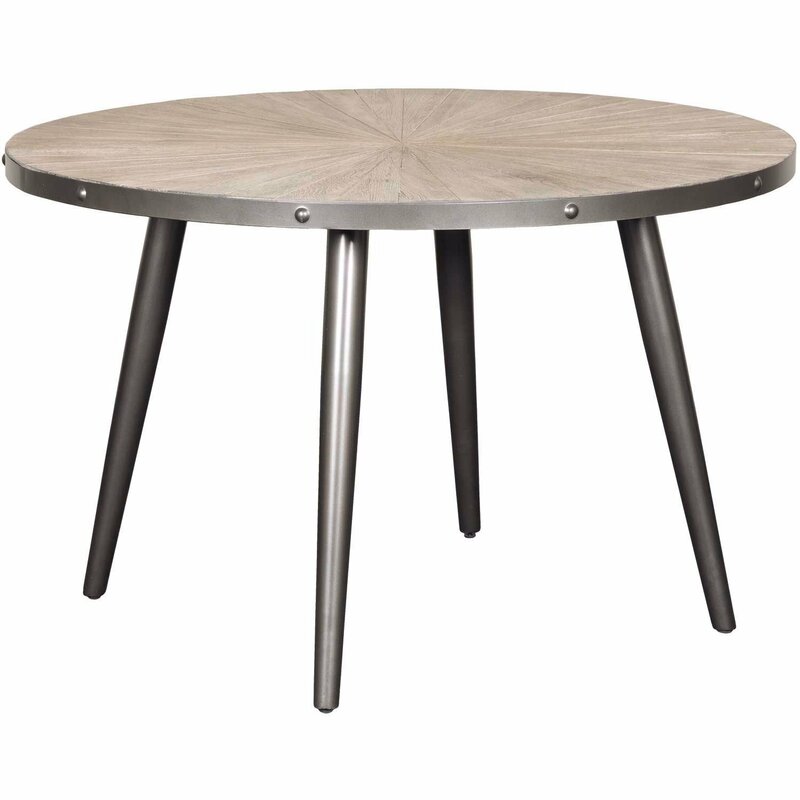 Coverty Round Dining Table by Ashley Furniture. 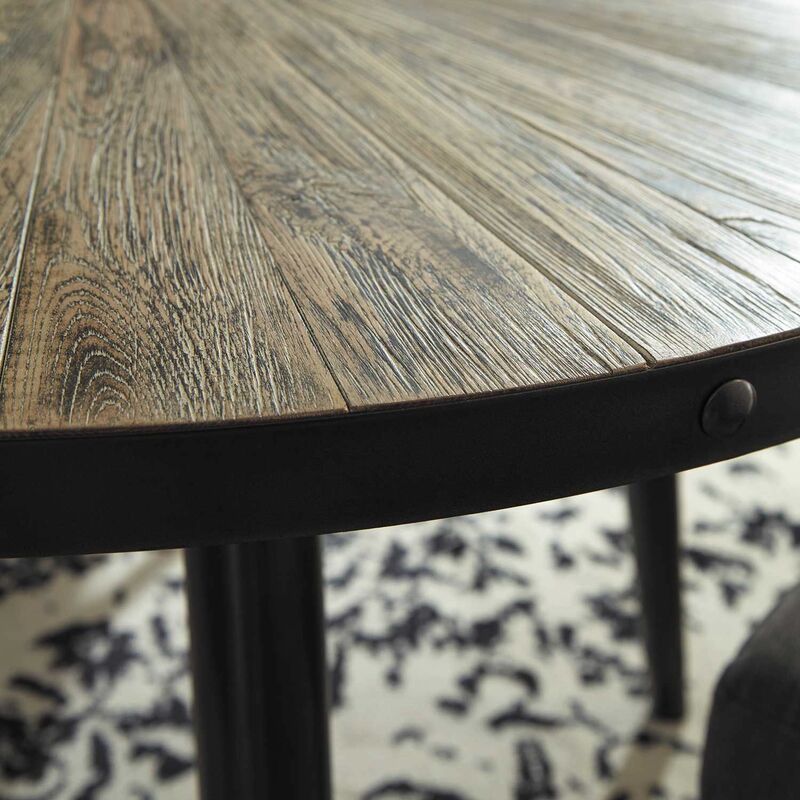 Tables made with elm veneers in a weathered brown color with wire brush texturing.